This badge was issued to Sample A Candidate on 17 Dec 2018. 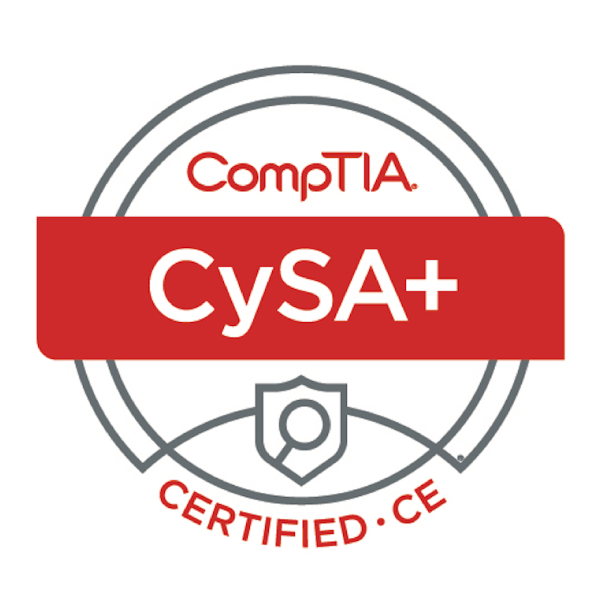 Earners of the CompTIA CySA+ certification have the skills, knowledge, and ability to address security analytics, intrusion detection and response. CompTIA CySA+ analysts have demonstrated the ability to perform data analysis and interpret the results to identify vulnerabilities, threats and risks to an organization and the skills to secure and protect the systems. Obtain the recommended experience -- Network+ and Security+ as well as a minimum of 3-4 years of hands-on, technical information security experience.